This video, along with Part 2 and Part 3, will be discussing options you could use to settle your tax debt. 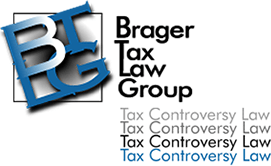 Choosing the wrong option to settle your tax debt can be a very costly error. If you apply for an installment agreement when you could have eliminated some of your debt with an Offer in Compromise, it could end up costing you thousands of dollars, and you can't expect the IRS to notify you of your alternative settlement options. They will simply accept your payments, while you are forced to take on debt or deal with other financial difficulties in order to pay off your tax debt. One possibility is an installment agreement. The IRS would generally prefer that you apply for an installment agreement if you can't pay in full because while they don't get all of the back taxes at once, you do agree to pay off the full amount over time. This option is appropriate when you have no defenses to dispute the amount or legality of the tax debt, and your financial situation does not justify an Offer in Compromise. In Part 2, we will discuss Offers in Compromise.